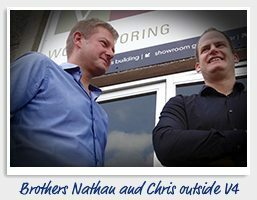 The decision by brothers Nathan and Chris Vincent to set up a wood flooring company was more than just a business one. It was an ambition to carry on an inherited passion and knowledge of high quality hardwood flooring born from three generations of Vincent family at the forefront of wood flooring in the UK. brother’s grandfather, James Vincent, worked as a floor fitter in Barking, Essex. In 1932 he was introduced to very characterful businessman Ted Humberstone. 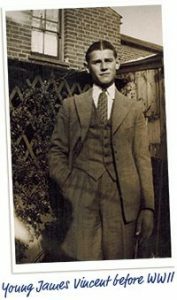 He was running a successful flooring company supplying parquet and wood block floors all over the UK to clients that included friends Sir Gordon Richards (Jockey) and Freddie Mills (Boxing Champion). Ted recognized James’ skill and passion for the industry and offered him a job in Woking, Surrey. For seven years Chris and Nathan’s grandfather travelled by train from Barking to Woking each day leaving at 5am and returning late in the evening. 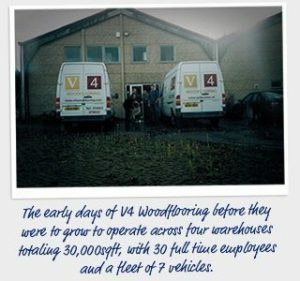 Together they grew the operation from a one man, one van and one sanding machine business to an eight man, four van and five sanding machine leading wood floor company. Riding on their success they split the business 50:50 in the late 1940’s and went their separate ways, with James eventually moving to Surrey permanently to open his own wood floor business from a shop located in Addlestone in 1950. Chris and Nathan’s grandmother was critical to the success of the business. From the family home in Surrey she would receive the orders of wood block and work until she had hand produced all the linking panels needed for installation the following day, a work ethic derived from years soldering batteries on the Daggenham production line. Always looking for improved quality and production finishes the Vincent’s introduced their own adhesive system to make installation quicker and cleaner for a premium finish to their wood block floors. 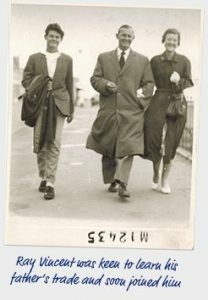 By the age of 16 Chris and Nathan’s father Ray had joined the family business. Initially a fitter he blossomed as he picked up knowledge and market expertise direct from his father. By 1961 he had established his own business, with a waiting list of builders wanting to be supplied flooring from a trusted and expert source. 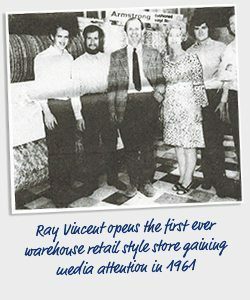 Ray created a successful business, which was the very first to showcase floor products in a warehouse style retail unit. 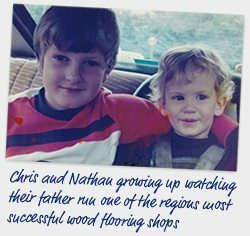 Growing up around their fathers business Chris and Nathan were permanent fixtures in his shop after leaving school and fast became experts at selling and installing hardwood floors. 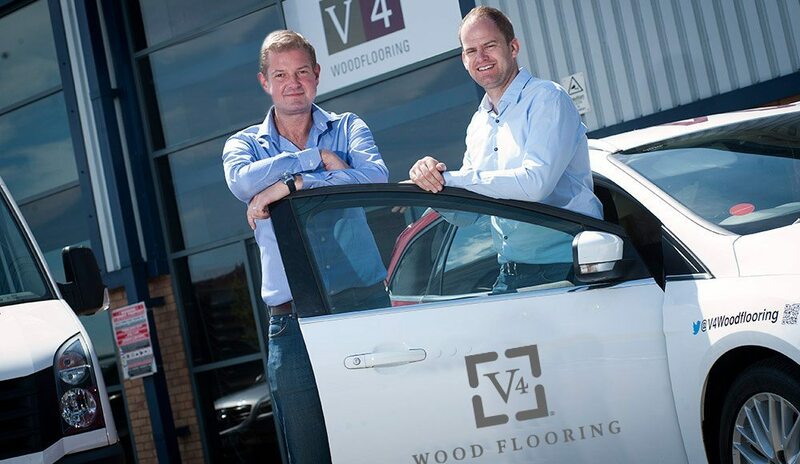 Encouraged by the entrepreneurial nature of both their father and grandfather, and frustrated by the lack of quality hardwood suppliers in the UK, together they decided to take the leap from retail and establish their own hardwood flooring brand, V4 Woodflooring. Concentrating initially on a few quality hardwood ranges imported from Europe they quickly established a small base of expert retailers who understood how to sell and install their high quality floors. A model that is still in place today as V4 has become the country’s leading supplier to retail of quality and responsibly sourced hardwood flooring, now with a unique collection of 50 hardwood floors to their name. So when you buy V4 Wood Flooring, you are not only assured of receiving the highest quality products, but from a family whose expertise in wood flooring spans some nine decades and makes them one of the best wood floor companies in the UK today.